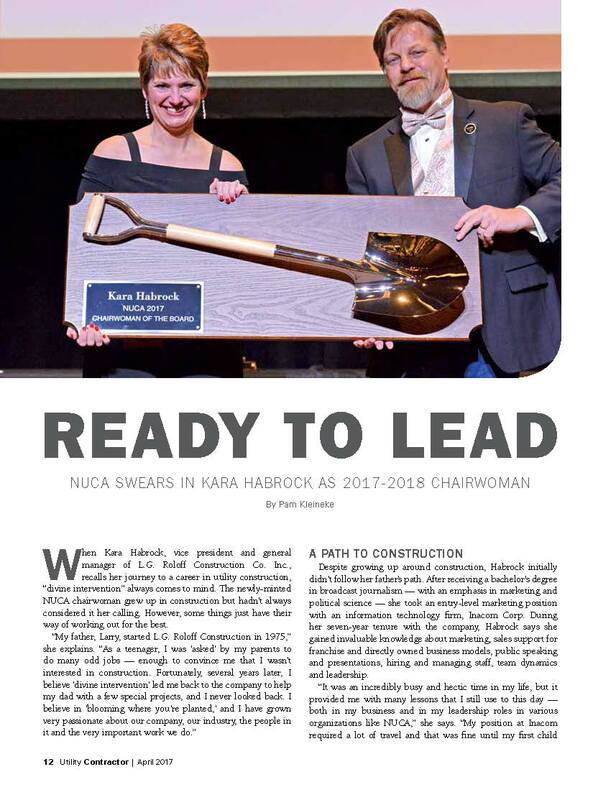 Utility Contractor's April issue features our own Kara Habrock's swearing in as the 2017-18 Chairwoman of NUCA. 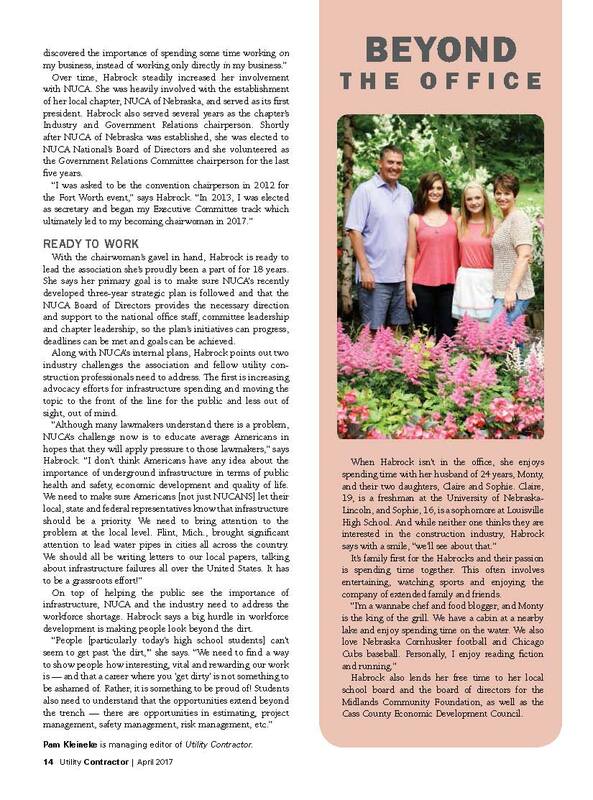 Roloff's leadership team recently had the opportunity to take part in a national conversation through Utility Contractor on our thoughts for the opportunities and challenges ahead. R.L. Roloff Construction Company - Versatility is this contractor's key to success.